There is nothing more special than a long train trip, one in which you can enjoy the slow pace of everything and the landscape you are going through with this relaxing movement. If in addition the destinations are so wonderful that you know that they are going to leave you with your mouth open, everything works. As a goal for this year that starts in a few hours we can consider taking the ‘Aurora Train’, the best way to enjoy the spectacular northern lights in Alaska . 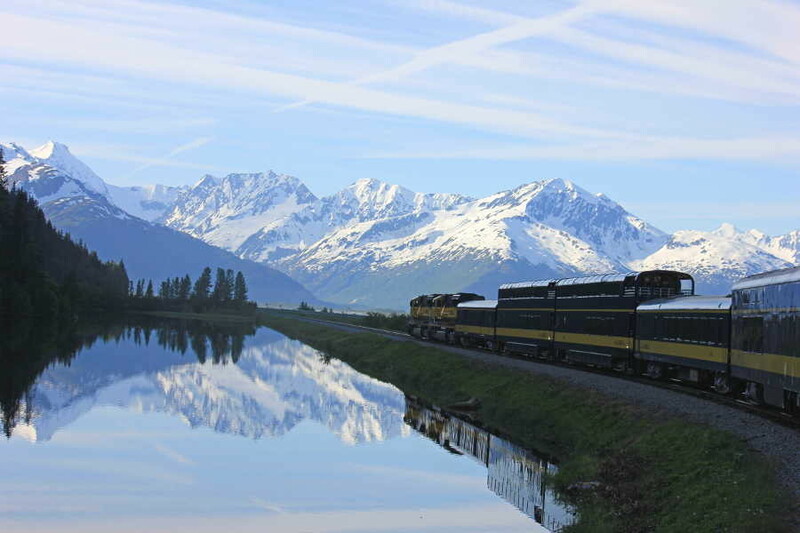 That does not mean you can do otherwise, but Alaska Railroad starts up these routes full of attraction and with a quite adequate duration so that with all the calm one can get on the train, go from city to city and enjoy that fascinating explosion of nature that are the northern lights. In Alaska , which in itself is an attractive place. The trip package they propose is six days and they propose that with all the calm you “savor” a snowy Alaska with nights in all its splendor. Departing from Anchorage, take the road to Talkeetna , where you will stop for two nights to enjoy a guided dog sled tour and a trip to Denali, one of the highest peaks in North America. From there, continue north towards Fairbanks, crossing the Denali National Park. You will spend the night in this beautiful city to observe the best aurora in the world and also sunsets in magical places, like the one that can be seen in the natural hot springs of Chena. It is attractive and we can feel like starting to pack, but I am telling you that it is not very cheap (without considering that we would have to pay for the transfer there). The six nights are about € 1300 . If despite the price you still want to have this adventure as the first trip of 2019 the Aurora will have two departures in February and another four in March … and sure they have seats.